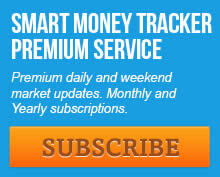 CAN BERNANKE BREAK THE DOLLAR RALLY? In response to a bursting real estate and credit bubble in 2007 Bernanke’s solution was to crank up the printing press and flood the world with dollar bills. Unfortunately it didn’t solve our problems, it only made them worse. The real estate and credit bubbles stayed busted, but that liquidity had to land somewhere. In 2008 it went straight into the energy and agricultural markets spiking the price of crude, gasoline and food. This in turn collapsed a fragile global economy that was already reeling from the real estate implosion. The end result was the exact opposite of what Benjamin intended. Instead of halting the real estate collapse he just magnified the severity of the recession. Unfortunately Bernanke has not learned from his past mistakes. The wicked sell off in 2010 was met with QE2. The even more severe decline in 2011, which should have initiated the next bear market and started the move down into the next four year cycle low, due in 2012, was aborted with additional money printing disguised as Operation Twist and the European version LTRO. On the surface it looks like Bernanke has been successful. The economy has rebounded from near recession in 2011 but the unintended consequences are already in play as oil is now back above $100 a barrel and gasoline over $4 a gallon. Bernanke has steered the Titanic straight into the iceberg and now there’s no turning back. If Ben doesn’t raise rates and drain excess liquidity oil is going to continue to rise until it destroys the global economy again. 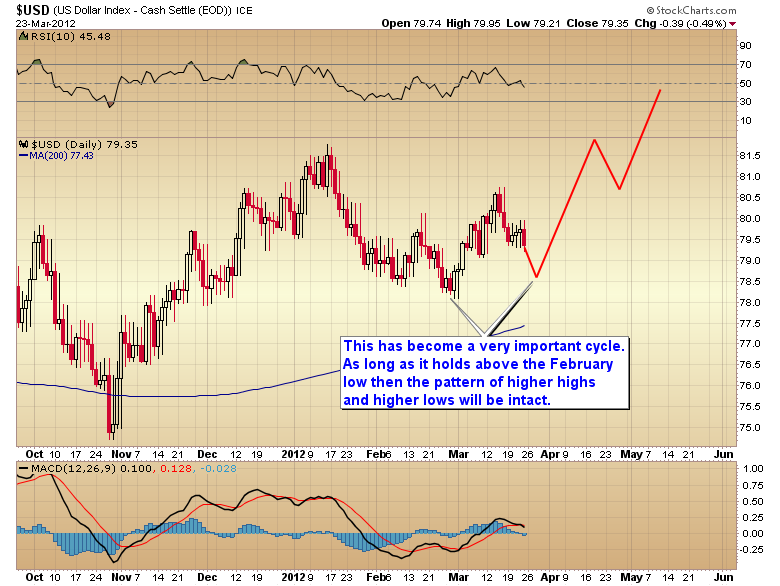 The dollar is at a very important juncture. The current daily cycle topped on day 11 which is right in the middle of being left or right translated. 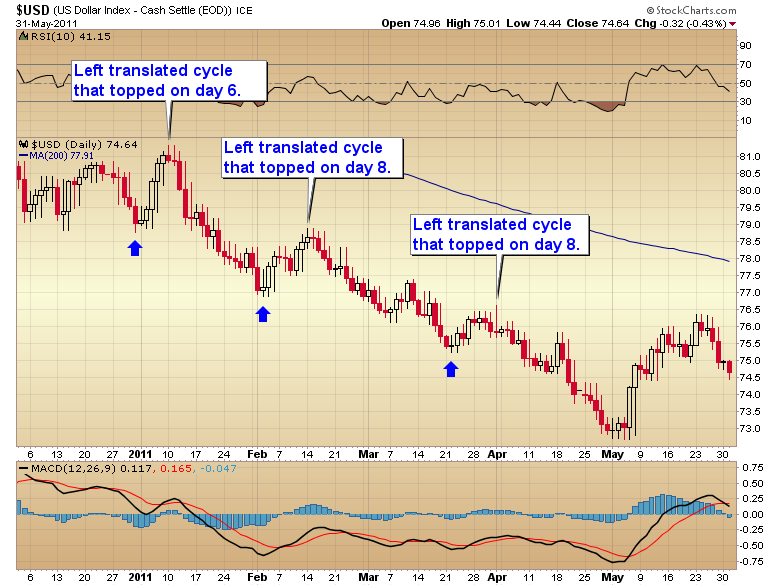 Left translated cycles are the hallmark of a declining market (lower lows and lower highs). 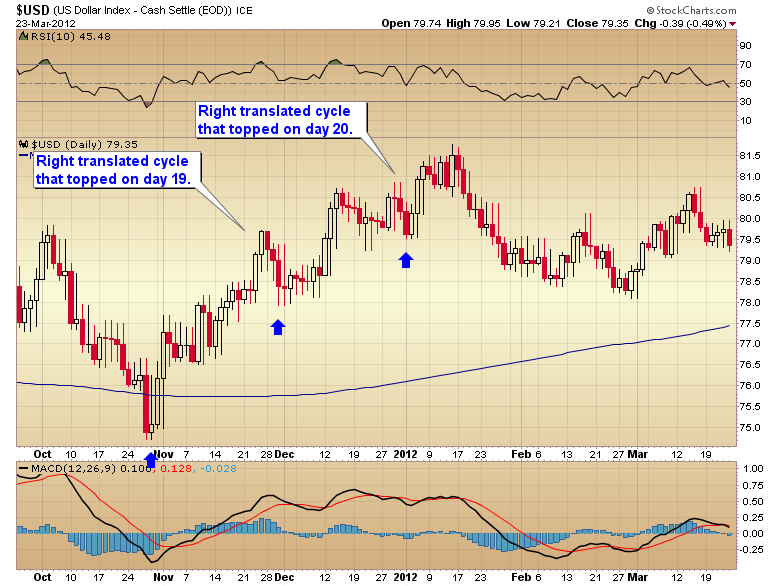 Right translated cycles are associated with rising markets (higher highs and higher lows). How this cycle plays out is going to determine the path for all other assets. The current daily cycle topped right in the middle of being right or left translated. As long as the impending cycle low holds above the February intermediate degree bottom then the pattern of higher highs and higher lows will still be intact and the dollar will still be on the upside of an intermediate cycle. In this scenario I would expect the stock market to roll over soon and begin moving down into an intermediate cycle low in late April or early May. 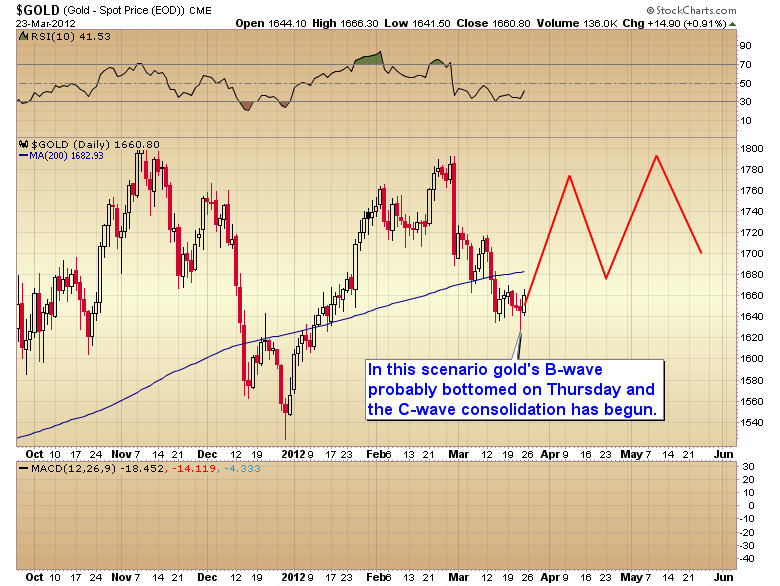 Gold’s B-wave would resume after a short counter trend bounce and continue down to test the December lows. If however, the dollar were to penetrate the February low it would signal that the intermediate cycle has already topped and the pattern has reversed to lower lows and lower highs. In that scenario we should see the dollar moving generally lower for the next 15-20 weeks. In this scenario the runaway move in the stock market could continue for another 10-15 weeks, and gold’s B-wave probably bottomed on Thursday as another shortened intermediate cycle. 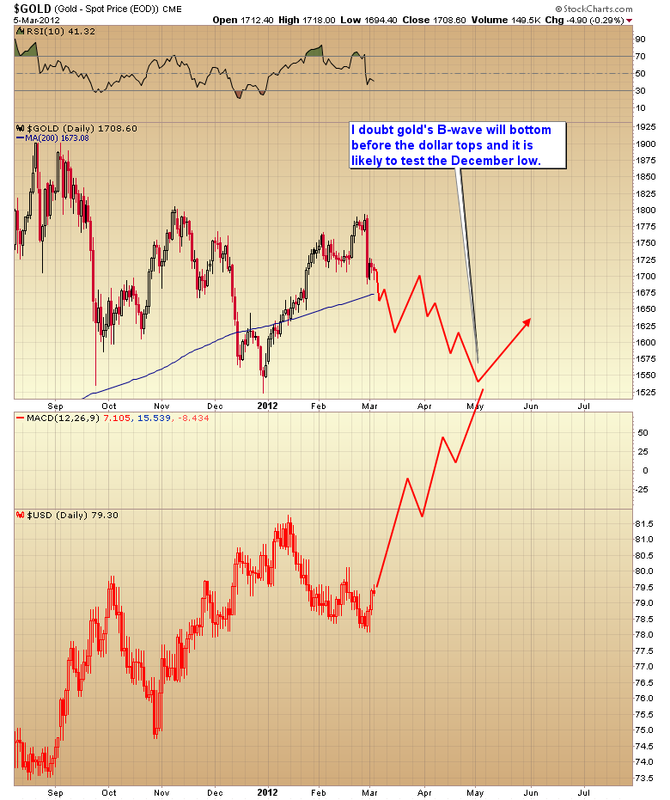 This scenario would also trigger another leg higher for oil which will eventually poison the economic recovery. The next couple of weeks are going to be important. I’m expecting the first scenario where the dollar continues to make higher highs and higher lows, but I’m prepared to reverse course 180 degrees if Bernanke can break the rally and push the dollar through the February 29 low. This entry was posted in Uncategorized on March 25, 2012 by Gary. And intraday post has been made to the website. This entry was posted in Uncategorized on March 19, 2012 by Gary. This entry was posted in Uncategorized on March 16, 2012 by Gary. A portfolio change has been posted to the website. This entry was posted in Uncategorized on March 13, 2012 by Gary. This entry was posted in Uncategorized on March 10, 2012 by Gary. This entry was posted in Uncategorized on March 9, 2012 by Gary. HAS THE CORRECTION FINALLY BEGUN? Today is a classic example of why I have been warning traders not to push the long side of the stock market. When these creeper trends finally break they often generate a crash or semi crash type of profit-taking event. The last 2 1/2 months were a classic example of why I have been warning traders not to short the stock market. These creeper trends can go on much longer than many people expect and shorts just end up getting whipsawed out multiple times until they’re so shell shocked that they can’t hold on when they finally do catch the top. All in all the correct strategy was to remain in cash until the profit-taking event occurred and then buy as close to the bottom as possible. If I had to guess I would say this will probably turn into a two step down affair followed by a two-month volatile consolidation as the dollar rally progresses. You might recall in my last post I mentioned that the dollar would need to get on the upside of an intermediate cycle before stocks had any realistic chance of correcting. 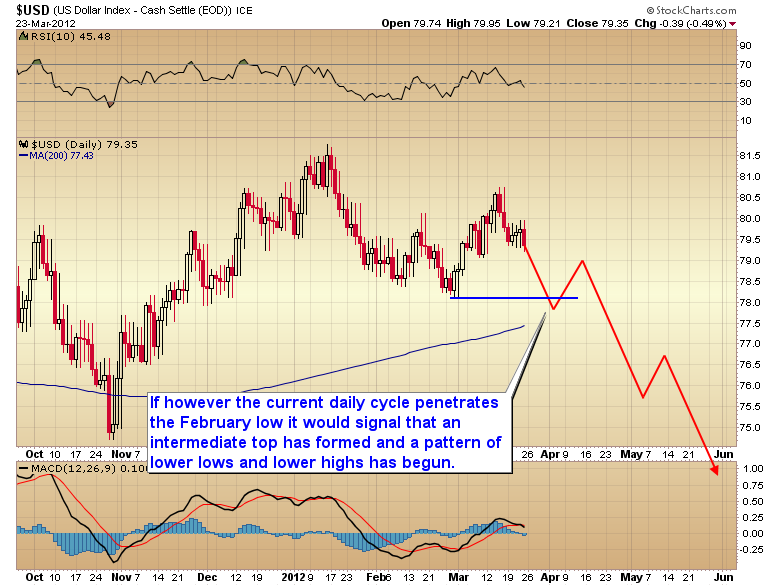 I outlined the conditions that would confirm that the dollar had formed an intermediate cycle low. Those conditions have now been met and it appears that the stock market is ready to deliver the much anticipated profit-taking event. 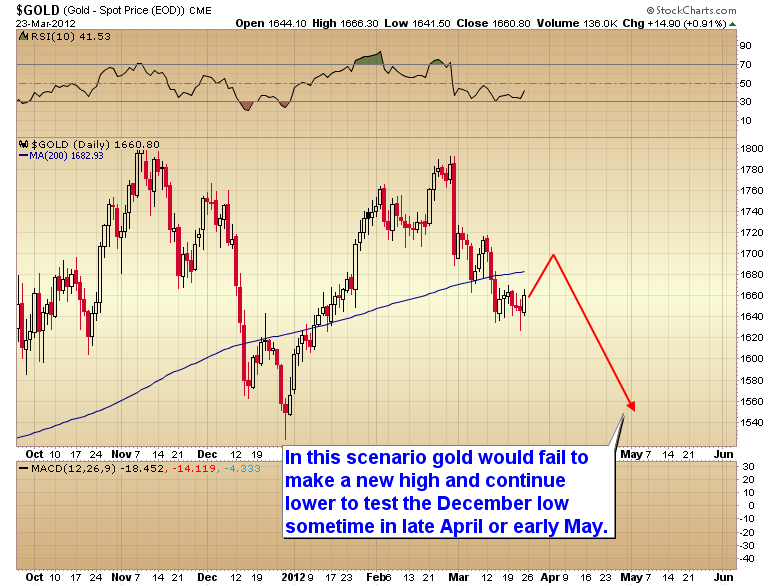 During this period gold should drift generally downward over the next couple of months as the dollar rallies. There will be plenty of false rallies (just like last Thursday) to sucker traders back in. 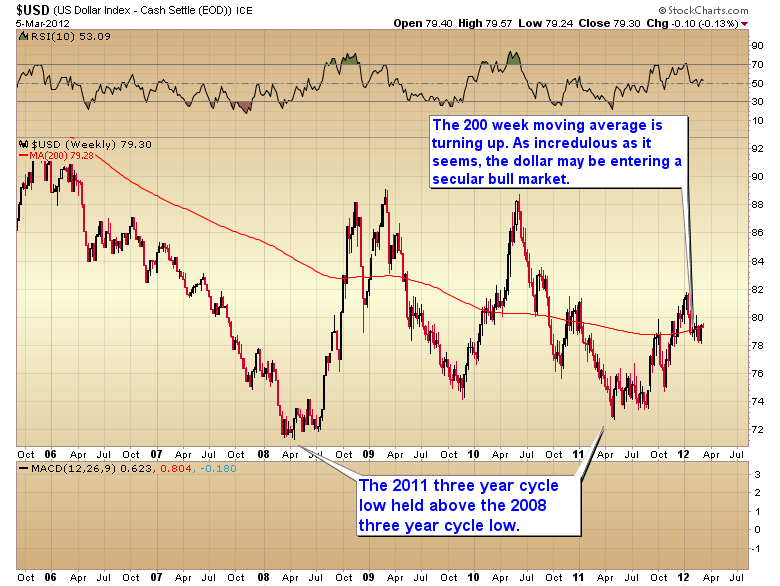 But I really doubt gold will put in a lasting bottom until the dollar’s intermediate cycle tops. Barring a public announcement of QE3, that is unlikely to happen until sentiment reaches extremes again. That almost always requires a move to new highs and usually takes a minimum of one and a half to two months to generate that kind of bullish sentiment. As I have been warning traders for months the dollar’s rally out of its three year cycle low almost certainly isn’t done yet. The rally out of a three year cycle low usually lasts at least a year, and that’s the norm in a secular bear market. 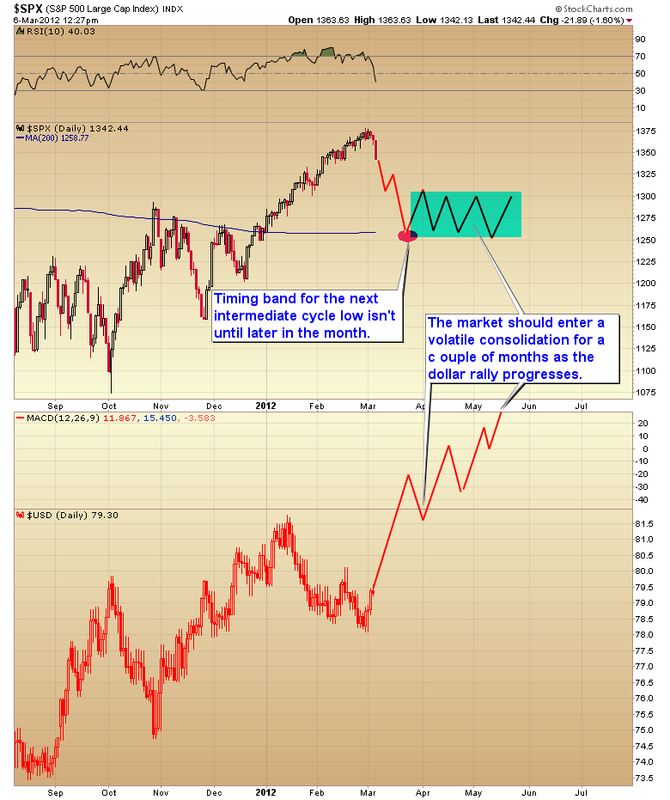 Since the three year cycle low bottomed in May of 2011 it’s unlikely that we would see a final top until at least May of this year. And since the three year cycle low in 2011 held above the three year cycle low that occurred in 2008, there is even a case to be made that the dollar has now entered a secular bull market. This would imply that despite Bernanke’s best efforts the forces of deflation may be overwhelming the central bank’s efforts to reflate. However I’m confident that if 10 trillion isn’t enough Bernanke will not hesitate to print 50 trillion. I have little doubt that no matter how this progresses it is going to end in a massive inflationary currency crisis. This entry was posted in Uncategorized on March 6, 2012 by Gary. This entry was posted in Uncategorized on March 5, 2012 by Gary. I think blogger has been reset. Let’s try again. A portfolio change has been posted to the website. And I am turning the comments section back on. This entry was posted in Uncategorized on March 2, 2012 by Gary.